Photos. 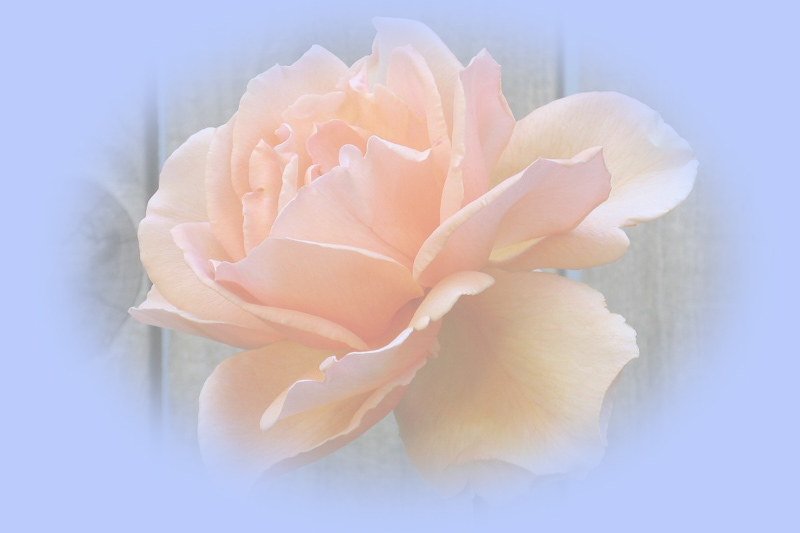 Take a look, click on the small images to see the full size color images. 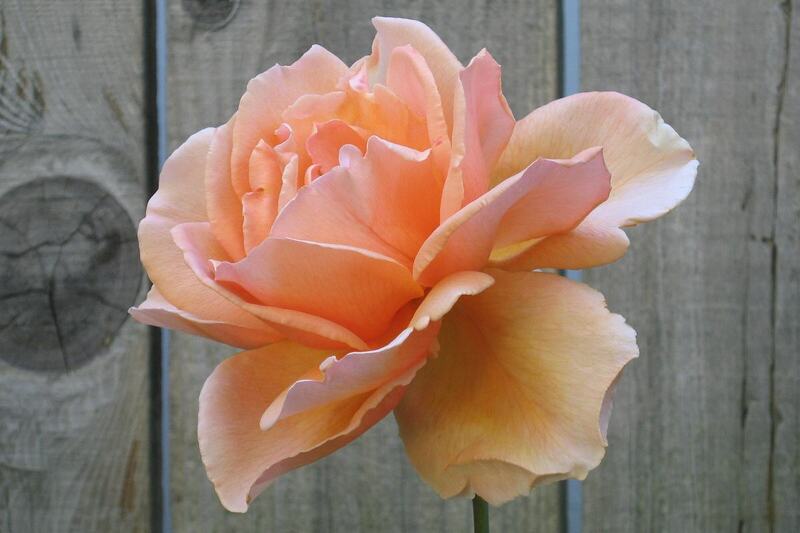 Just Joey, a very nicely scented rose. 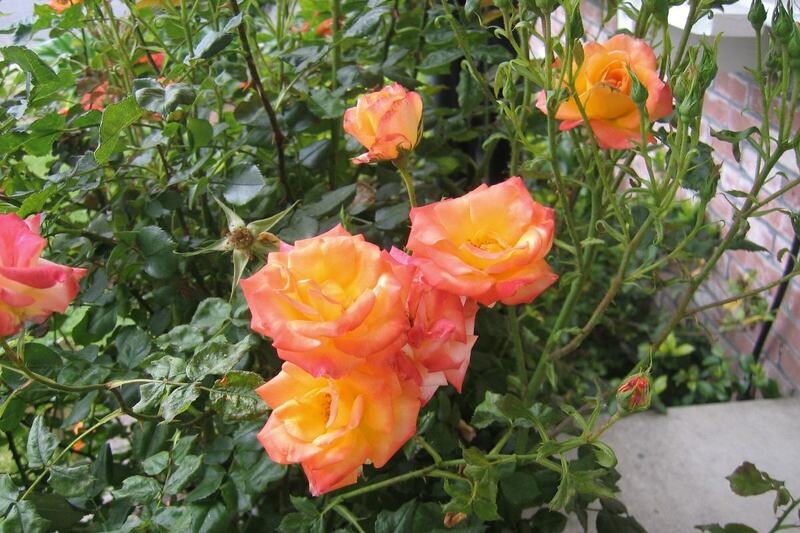 It may be the best scented rose we have. 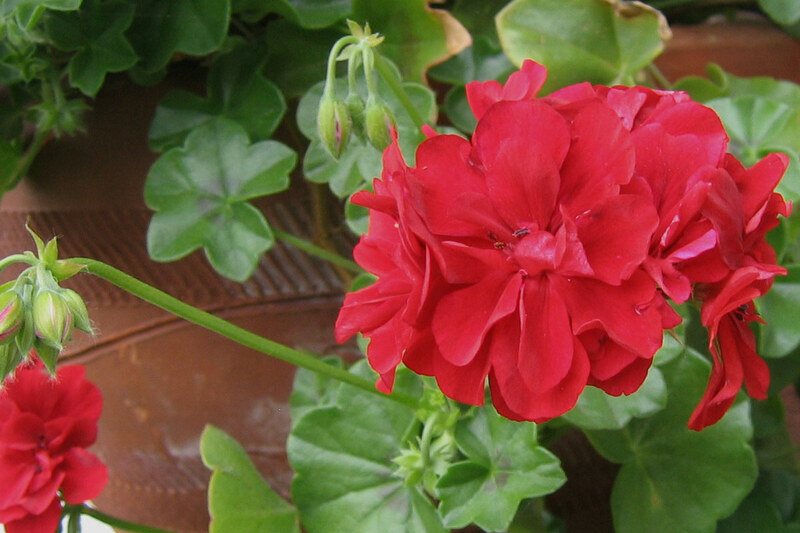 The bloom has a subtle color and beauty, take a look. 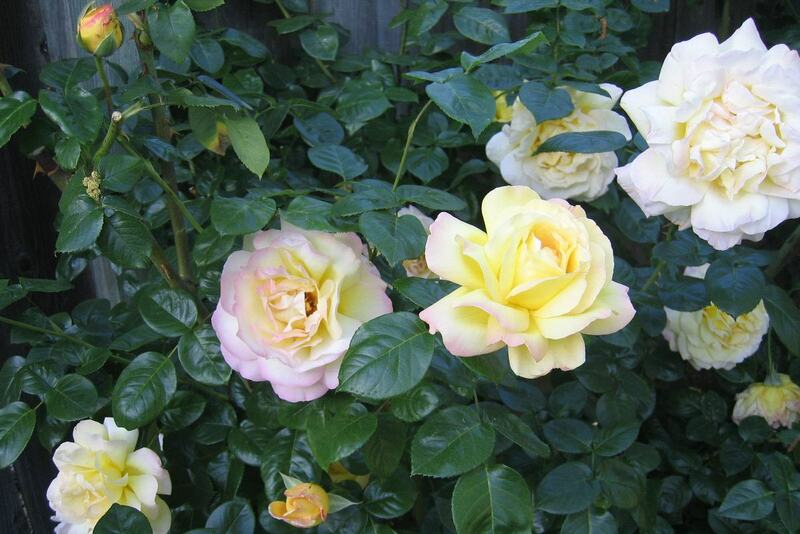 A selection of Peace blooms, maybe one of the most popular roses in the country. 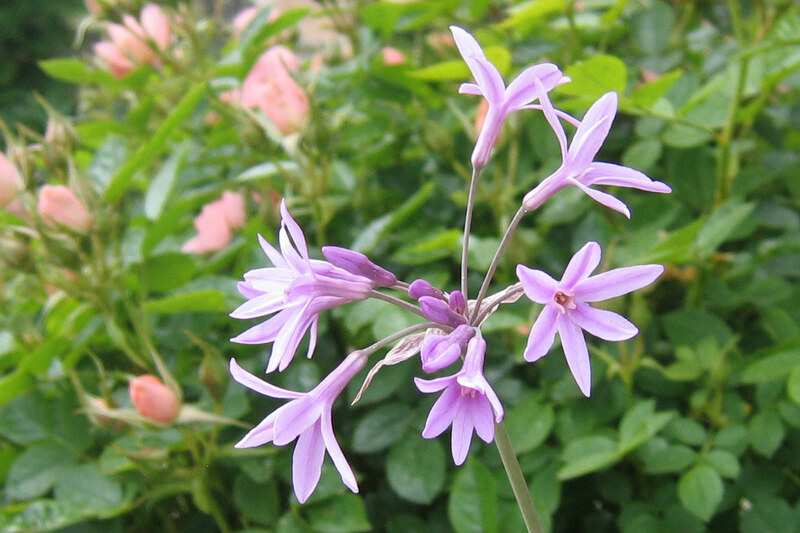 Detail view of a Peace bloom. 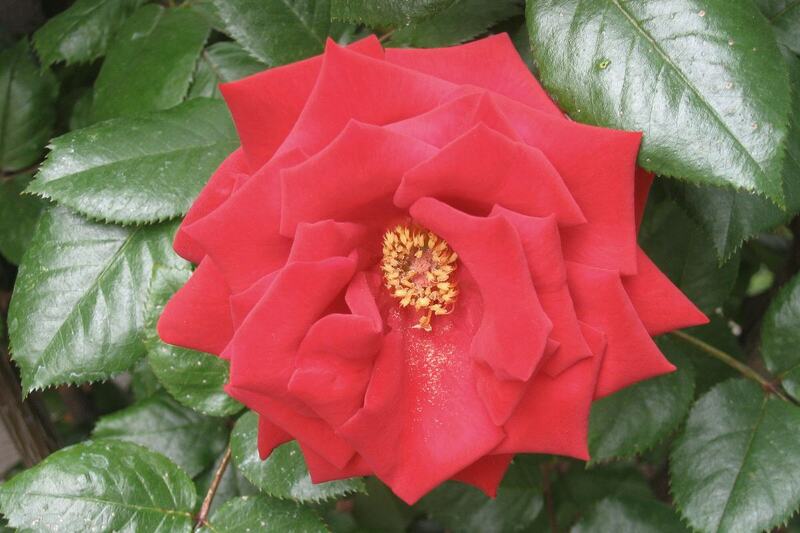 Detail of my favorite rose, Crimson Bouquet. This plant has the most attractive green, glossy foliage. 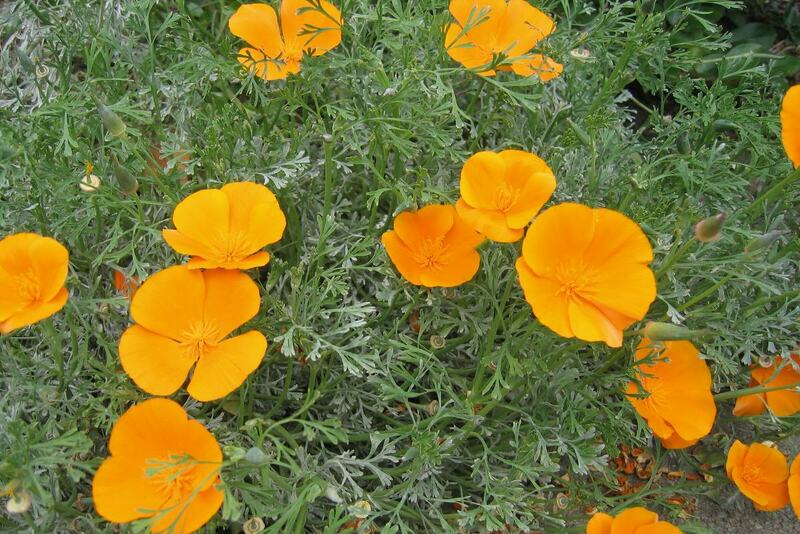 California poppy blooms are nice but the plant soon faded days after this photo and I yanked it's wilted mass out. I found out this plant is a Garlic with very white, grass like foliage. 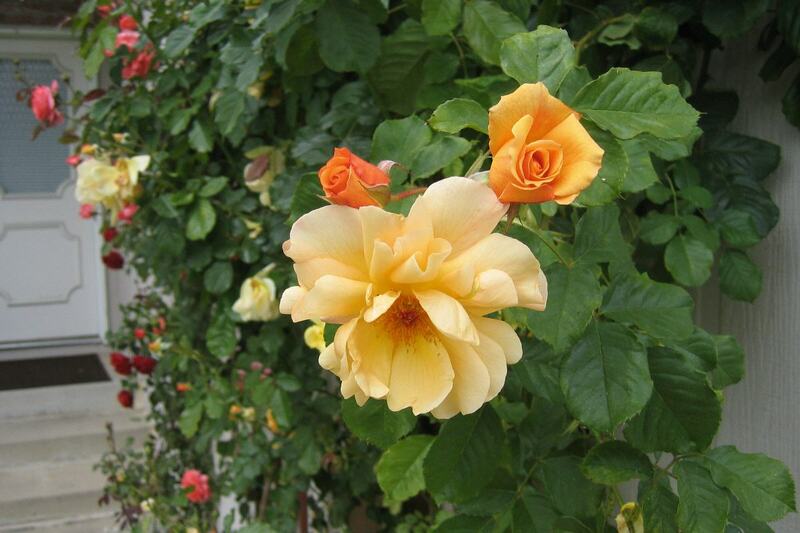 The climbing roses have really exploded with growth and blooms. This is Autumn Sunset. 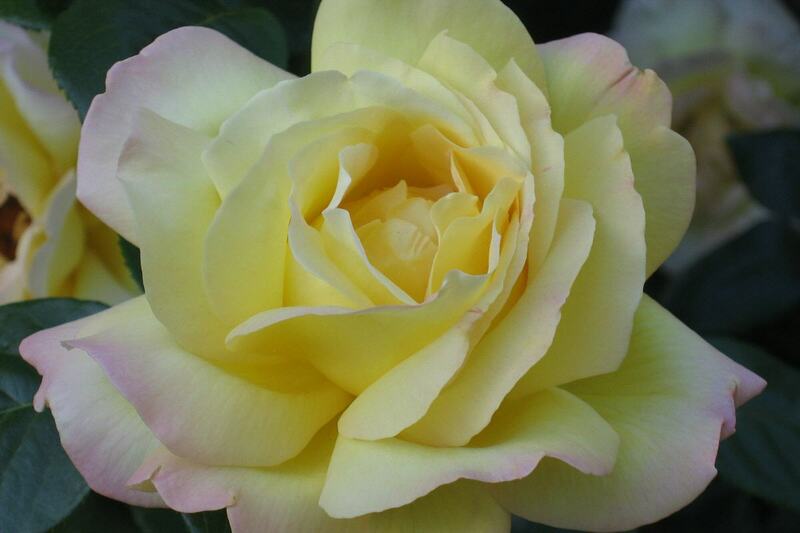 Another climber called Angel Face. 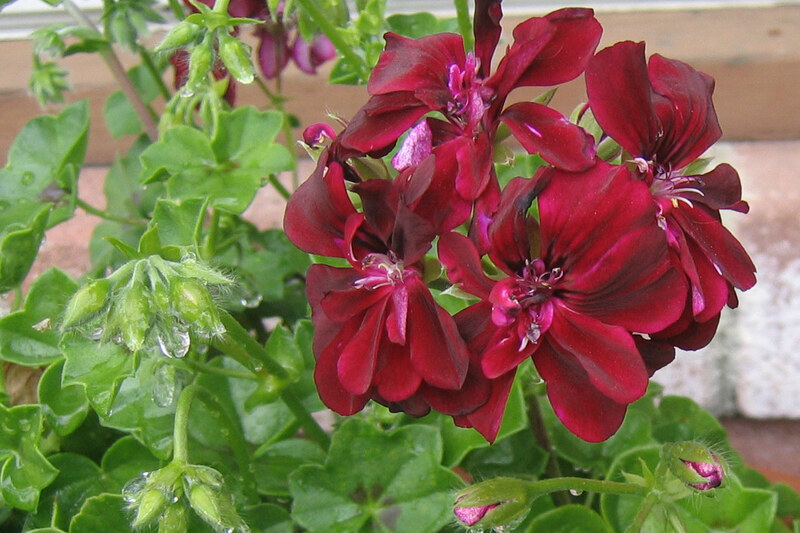 Ivy geranium in a dark velvety Burgundy. Joseph's Coat, always a prodigious bloomer.